BUFFALO, N.Y. — The arctic cold snap affecting the Midwest and the Northeast this weekend should not be taken lightly, says David Holmes, MD, clinical associate professor of family medicine in the University at Buffalo School of Medicine and Biomedical Sciences. 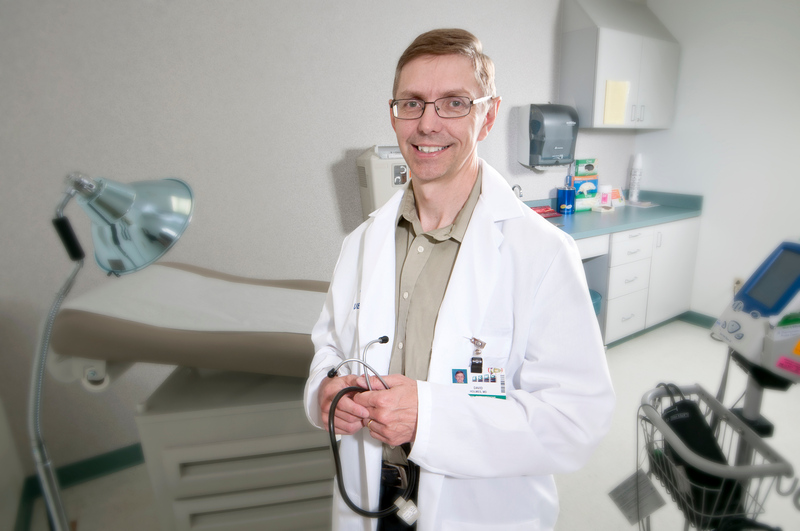 Holmes, who sees patients at UBMD Family Medicine, is director of the UB medical school’s global health education program. He discusses some of the medical dangers of being outside for prolonged periods in this kind of weather. He also advises how best to protect yourself if you do need to be outside. 1. How long can a healthy person stay outside in subzero weather without experiencing consequences? It depends on wind chill. A temperature of zero degrees Fahrenheit and a wind speed of 15 mph makes it feel like -19 degrees. Under this condition, frostbite can occur in 30 minutes. If the temp is -20 degrees and wind speed is 15 mph, then the wind-chill temp is -45 degrees and frostbite can take place in 10 minutes. 2. What exactly is frostbite? Frostbite is an injury to the body that is caused by freezing. It results in a loss of feeling (numbness, tingling), aching and loss of color in the affected areas. It usually affects toes, fingers, nose, ears, cheeks and chin. It can permanently damage body tissues and in severe cases may lead to the need for amputation. Never rub an area of the body that may have frostbite, as that may cause skin damage. 3. What are risk factors that make people more vulnerable during this kind of weather? Certain factors can affect how long it takes to get hypothermia – when the body loses heat faster than it can produce it. Youth or old age, drinking alcohol and being wet can cause hypothermia to occur more quickly. Increased body fat adds extra insulation and prolongs the time (one of the few health benefits of obesity). Being wet is a significant problem since water conducts heat away from the body 25 times faster than air. Therefore, hypothermia develops much more quickly. According to the U.S. Coast Guard, if you fall into water that is 33-40 degrees, you’ll likely become exhausted or unconscious in 15-30 minutes and likely will die in 30-90 minutes. 4. Why is such cold weather more dangerous for babies, young children and the elderly? Babies, toddlers and young children lose heat faster than older children and adults do. We lose a lot of heat through our heads and, of course, the head of a baby or young child is a lot bigger relative to their bodies, than is the head of an older child or an adult, so they experience increased heat loss. Children and individuals with dementia or mental illness also may not have the judgment to dress properly in cold weather or to get out of the cold when they should. The body’s ability to regulate temperature also may lessen with age. Older people may have mobility problems, making it difficult to get to a warm place. They also may have medical problems or be on medications that affect body temperature regulation. It’s definitely best to keep the elderly, the very young and those with a mental illness that impairs judgment indoors during cold winter blasts. It’s a good idea to check up on relatives and friends to make sure they are warm enough, especially if they live alone. 5. What are the signs that you have been outside for too long? Signs of hypothermia include uncontrollable shivering, rapid heart rate, confusion, drowsiness, slurred speech, loss of coordination, exhaustion and memory loss. The body tries to preserve heat to the vital organs (heart, lungs and brain) by constricting blood vessels everywhere else. Fluids in the body will be forced to go to the bladder so the need for urination increases. The brain and heart are very cold-sensitive. As the temperature drops, the electrical activity in these organs slows down. In the brain, this results in confusion, drowsiness, memory loss, poor decision-making and eventually coma. The poor decision-making makes the condition worse because the person may decide to stay outside rather than seek shelter and warmth. 6. What kinds of chronic health conditions are most dangerous in these temperatures? In response to the cold, the cardiovascular system increases blood pressure and heart rate, which can trigger a heart attack. In severe hypothermia, ventricular arrhythmias can occur. Also, in cold weather, the airway tends to narrow, which makes it more difficult to breath. Therefore, people with heart disease and lung disease, such as asthma, COPD/emphysema and chronic bronchitis are especially vulnerable to subfreezing temperatures. Raynaud’s disease is a condition that limits blood circulation to certain areas of the body, such as the hands, so cold weather exacerbates the condition, causing numbness and pain. 7. What is your advice for those who have to be outside for longer than 10 minutes? · Wear appropriate clothing, which means several layers of loose clothing. Layering provides better insulation. Tight clothes reduce blood circulation. · Make sure ears, head, face, hands and feet are well-protected with insulated boots and wool socks, warm hat and mittens, and a scarf or mask that covers most of the face. · Warm winter jacket and warm pants or long underwear. · Warm the inside of your body with soup, hot chocolate, coffee or tea. · If you’re driving, make sure you have a full tank of gas and extra blankets and clothes in the car, in case you get stuck in the snow and have to wait a long time for help. 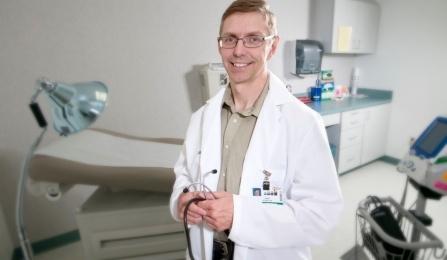 Holmes, a clinical associate professor in the UB Department of Family Medicine, directs the global health education program of the UB medical school.